N306SW Boeing 737-3H4 (c/n 22946/1148) while being pushed from the gate on its departure from Seattle (SEA) on 12Aug03. 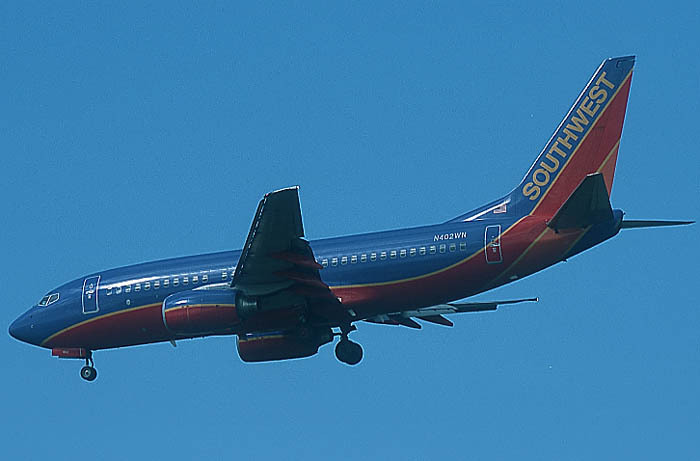 Southwest is the most successful low-cost operator for a long time now and many (European) companies tried to follow in SWA's footsteps, some with more success than others. This colourscheme was worn while the company grew to a tremendous size. N402WN Boeing 737-7H4 (29814/811), on finals into Seattle's Sea-Tac Int'l Airport on 12Aug03. The blue livery was introduced during 2001. 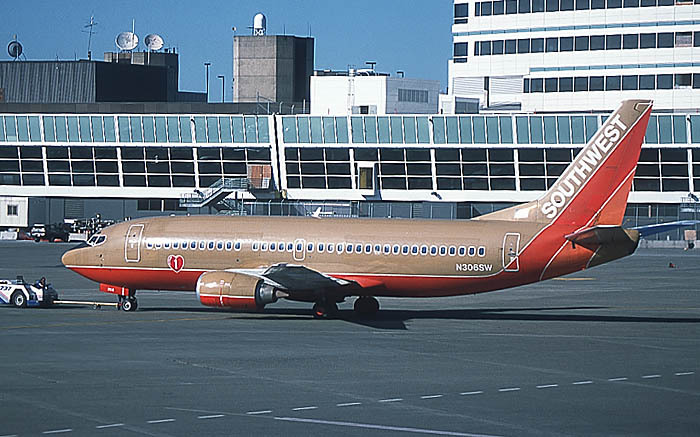 SWA was never shy of painting some of their aircraft in special colours, mainly in dedication to certain US States. 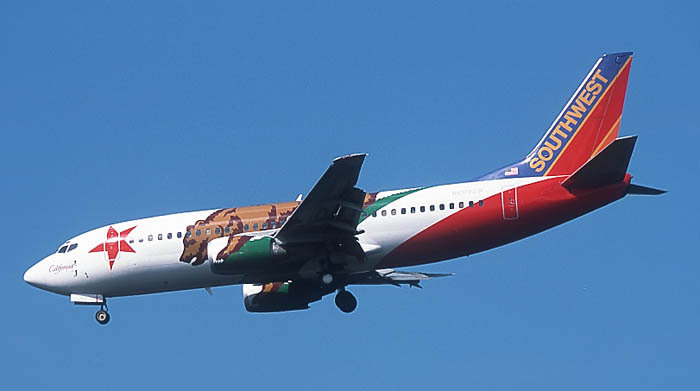 This one is in Californian flag livery: "California One".